There are a number of goals anyone’s art may be aimed to fulfill – from existing just for the sake of it to sharing one’s ideas and beliefs with the world. Some see the possibility of art to influence a wide audience, making artwork that is both alluring in its form as well as averting attention to an array of universal problems or thoughts. Working with a purpose of turning thinking into doing, the art of Olafur Eliasson is at the same time relevant to the individual and the public, as well as concerning the environment and its safety. Enhancing the experience of the viewers with natural elements like light, water, fog, and air temperature, Eliasson averts the attention to some of the environmental and spatial concerns. 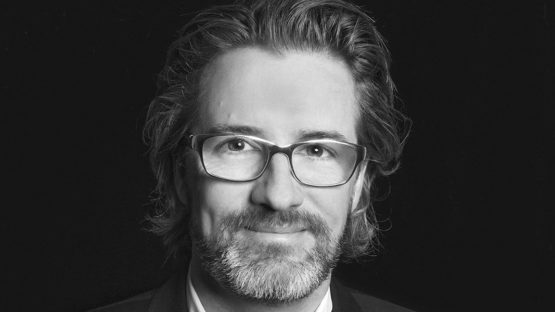 Having received his degree from the Royal Danish Academy of Fine Arts in 1995, Olafur Eliasson has been developing an artistic oeuvre highly broad in its form and field of work. 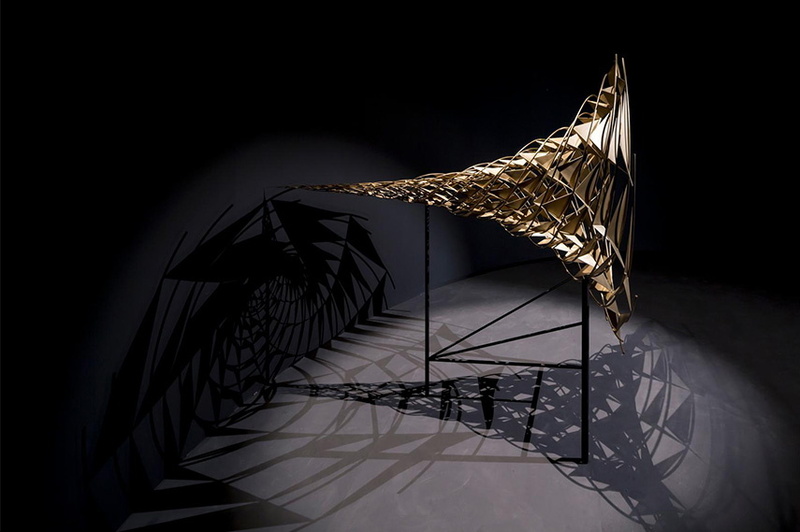 The artist is known to work with experts in various fields in order to complete his projects, engaging architects, theorists, engineers, and craftsmen, among others. 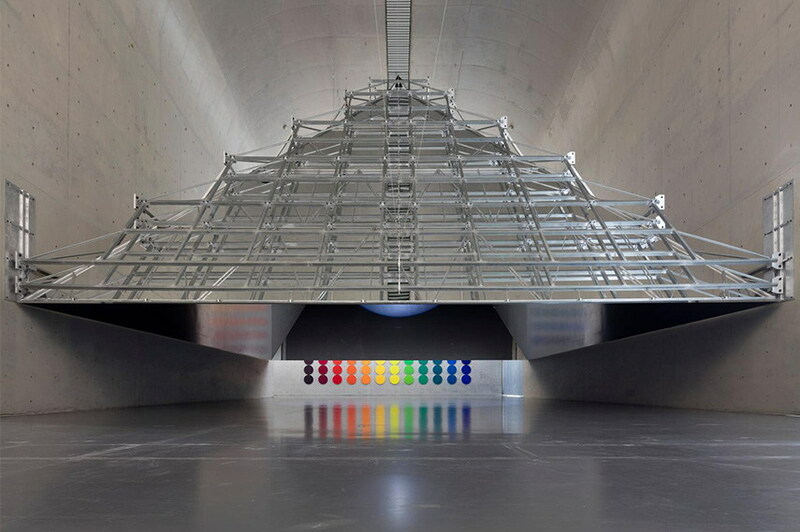 He had also started a studio following his college days, one that employs over 30 people working in various fields in order to assist constructing Eliasson’s sculptures, installations, and large-scale projects. His works are often intractable and the viewers get to experience natural elements in conjunction with the technical parts of the installations; Din blinde passager (Your blind passenger) (2010) is a 90 meter long tunnel in which the fog affects and limits the senses, whereas 360 degrees Room For All Colours (2002) uses light to alter the perception of the viewers. Many of Eliasson’s works can be found out in the open, outside of the confines of the gallery and museum walls. Averting the attention towards and invoking reflection on the surrounding environment, he has created some monumental artwork around the globe. One of his famous projects Green River included pouring a nontoxic powder into the rivers of Moss (Norway), Los Angeles, Bremen, Tokyo, and Stockholm, dyeing the waters in green which in turn drew the looks if the city’s inhabitants, reminding them of its fluidity. Another well known public project is The New York City Waterfalls that claimed the title of the most expensive public art project ever since The Gates installation in Central Park. For raising the attention towards the issues of the environment as well as having a significant impact on the viewers with his artwork, Olafur Eliasson has been greatly recognized and awarded for his work; The Spiral Pavilion had brought him the Benesse Prize by the Benesse Corporation; the Nykredit Architecture Prize and the Eckersberg Medal for painting as well as the Prince Eugen Medal for sculpture are just some of his many esteemed awards. In 2014, he became an artist in residence at MIT, given the privilege of studying and teaching in the institution for a period of time. Eliasson’s influence can be seen in the fact that the President of Iceland, Ólafur Ragnar Grímsson, had visited his studio in Berlin during a state visit to Germany in 2013. With an artistic practice that spans over several different fields, Olafur Eliasson merges knowledge, awareness, and art. Immersing the viewers into a realm of natural elements, his interactive works reach out to your senses as an individual while raising your attention towards universal, public issues. More than simply decorating the world with his truly stunning pieces, Eliasson and his portfolio bear the weight of responsibility that is shared with all those able to witness his work – the ones inhabiting the environments that we should hope to preserve. 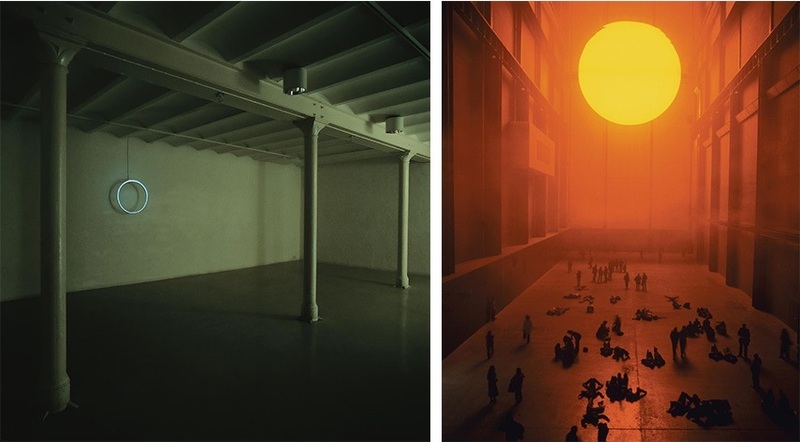 Olafur Eliasson lives between Copenhagen in Denmark and Berlin in Germany. All other photos credit the artist. All images used for illustrative purposes only.